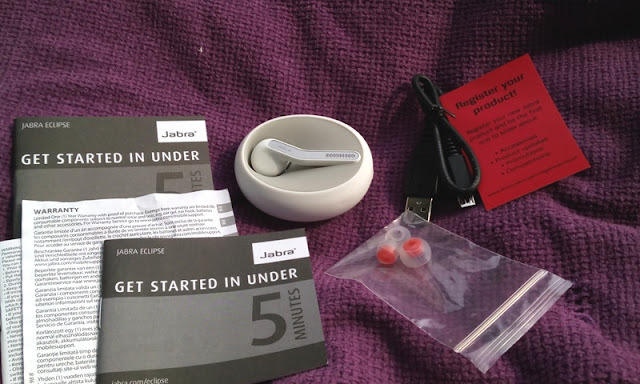 Jabra Eclipse Bluetooth Earpiece Headset With Dual Mic, Geotagging & Siri Compatible! 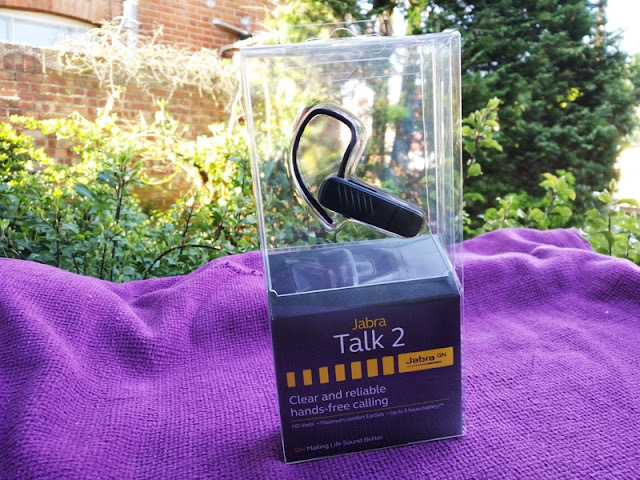 If you are looking for a lightweight wireless earpiece that charges in your pocket and offers crystal clear HD calls, check out the Jabra Talk 55 and the Jabra Eclipse Bluetooth Earpiece Headset! 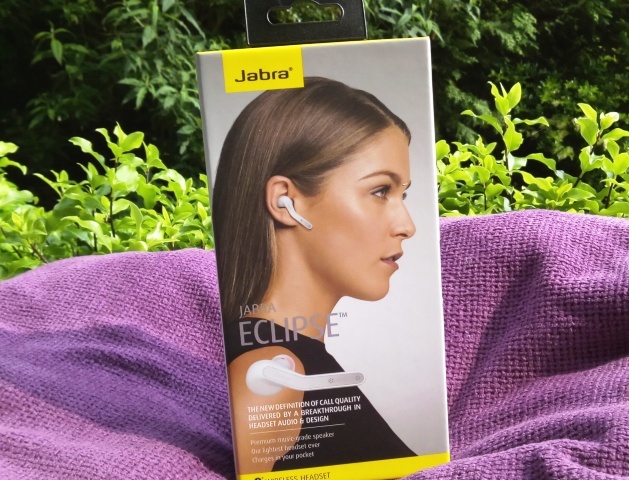 The Jabra Eclipse wireless earpiece weighs only 5.5 grams (0.19 oz), has NFC functionality and comes with dual mic noise cancellation that blocks background noise. The mic quality is as good as the Elite Sport earbuds. 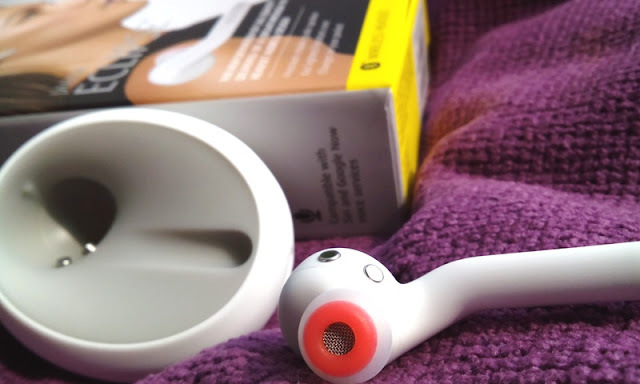 The Jabra Eclipse comes with Bluetooth 4.1 but can also be paired using NFC, which is done by simply sliding the bottom the of the charging case against the NFC zone of your phone. 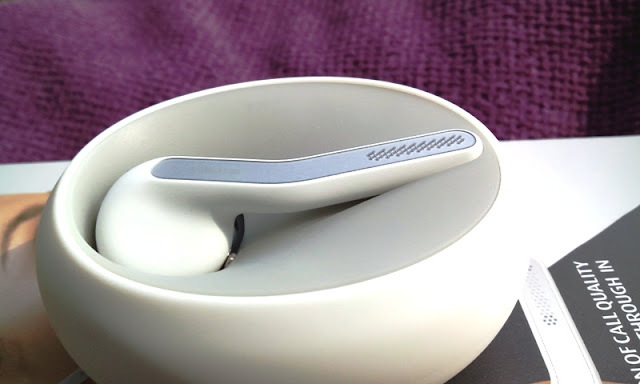 The Jabra Eclipse earpiece headset charges through USB connection to your computer and once fully charged the three LED lights will light up. To check the battery status, there are two ways you can do this. 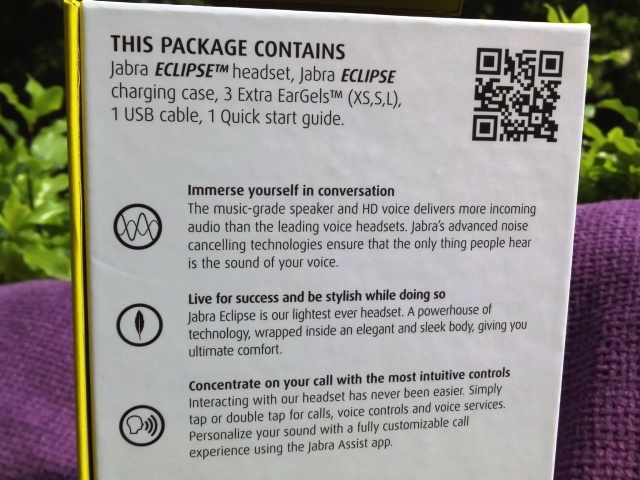 One way is by placing the Jabra Eclipse headset in the charging case and tap the Jabra button on the bottom of the case. The other way to check battery status is by tapping the actual headset. Green light indicates more than 20% battery remaining and red light indicates less than 20% battery renaming. 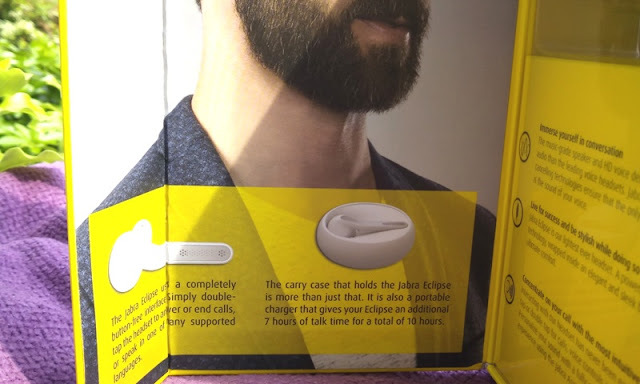 The Jabra Eclipse headset can hold around 3 hours of battery life plus an additional 7 hours from the charging case so you get in total a cool 10 hours of talk time. 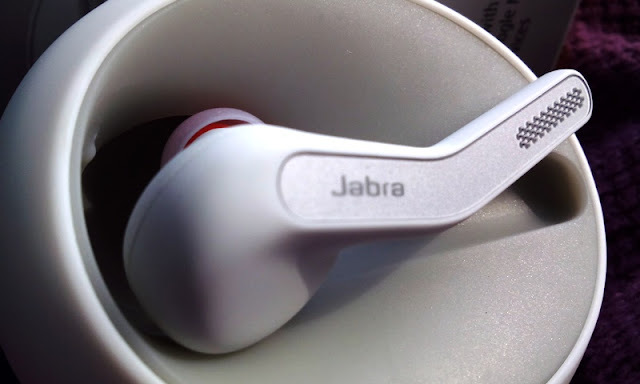 When the Jabra headset is removed from the charging case it automatically turns on. To turn the Jabra headset off, you simply place it back in the charging case. When you have an incoming call you can answer it one of three ways: 1) By removing the Jabra headset from the charging case, 2) By double tapping the Jabra headset, 3) By saying outloud "answer". To reject a call, you can either say "ignore" or simply place the Jabra headset back in the charging case. 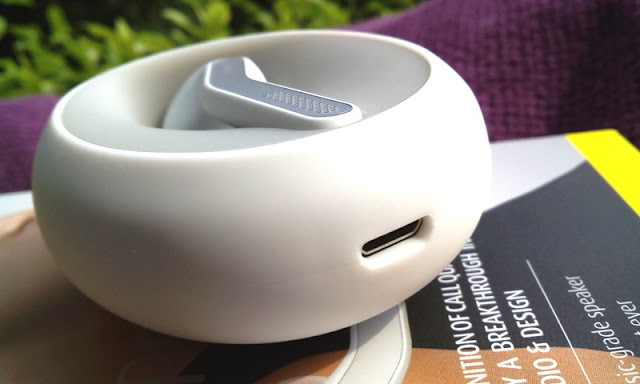 To end a call, you can double tap the Jabra headset or you can end the call by placing the Jabra headset in the charging case. 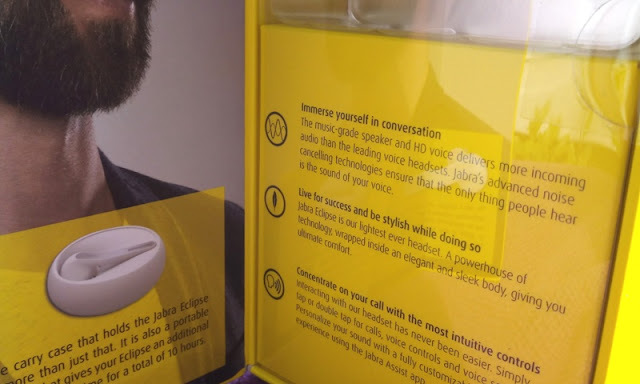 With the Jabra headset, you also get the JABRA ASSIST app, which allows you to customize the taps on your Jabra wireless headset, as well as keep track visually of the remaining battery life on your Jabra Eclipse wireless headset. If you are using an Android phone, you can also get notified in the app when the battery of your Jabra device is below 10%. Other useful features that come with the JABRA ASSIST app include over 10 headset languages and Find My Car, which is a very handy functional feature that geo tags the position of your Jabra headset so you can track it on the map of your smartphone. The Jabra Eclipse Bluetooth earpiece headset is lightweight, user friendly and comes with useful functional features. 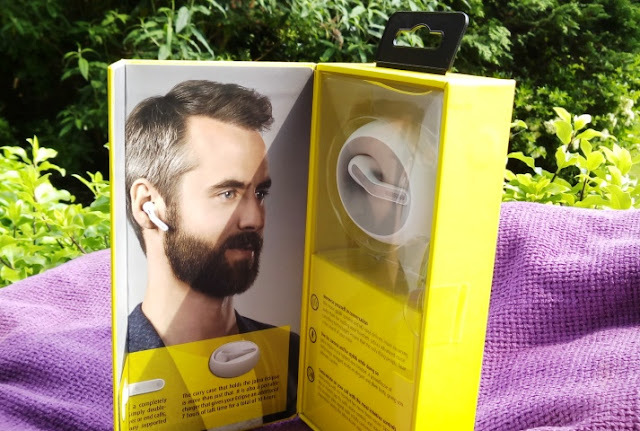 The JABRA ASSIST app allows you to also update your Jabra headset wirelessly without the need to plug into a PC, as well as adjust the incoming call audio and read out-loud incoming messages hands-free.